I, _______________________ (old motto), being of sound mind and body, and prepared, on this ____ day of _____________ [Anno ____ Sol in _______ ° of _______] do hereby resolve: in the Presence of _________________________, a Zelator of the A∴A∴: To prosecute the Great Work: which is, to obtain control of the nature and powers of my own being. Further, I promise to observe zeal in service to the Probationers under me, and to deny myself utterly on their behalf. May the A∴A∴ crown the work, lend me of Its wisdom in the work, enable me to understand the work! Reverence, duty, sympathy, devotion, assiduity, trust do I bring to the A∴A∴ and in eight months from this date may I be admitted to the knowledge and conversation of the A∴A∴! Let him read through this note of his office, and sign it, paying the sum of One Guinea for Liber VII which will be given him on his initiation, and One Guinea for this Portfolio of Class D publications, B-G. Let him obtain the robe of a Neophyte, and entrust the same to the care of his Neophyte. He shall choose a new motto with deep forethought and intense solemnity, as expressing the clearer consciousness of his Aspiration which the year’s Probation has given him. Let him make an appointment with his Neophyte at the pleasure of the latter for the ceremony of Initiation. 1. The Neophyte shall not proceed to the grade of Zelator in less than eight months; but shall hold himself free for four days for advancement at the end of that period. 3. He shall apply himself to understand the nature of his Initation. 4. 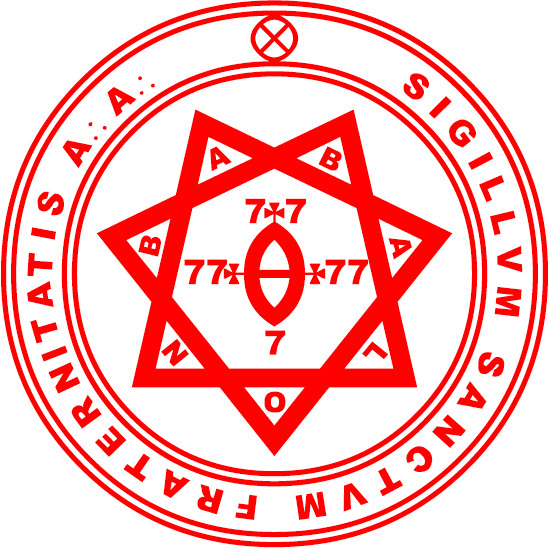 He shall commit to memory a chapter of Liber VII; and furthermore, he shall study and practice Liber O in all its branches: also he shall begin to study Liber H and some one commonly accepted method of divination. He will further be examined in his power of Journeying in the Spirit Vision. 5. Beside all this, he shall perform any tasks that his Zelator in the name of the A∴A∴ and by its authority may see fit to lay upon him. Let him be mindful that the word Neophyte is no idle term, but that in many a subtle way the new nature will stir within him, when he knoweth it not. 6. When the sun shall next enter the sign 240° to that under which he hath been received, his advancement may be granted unto him. He shall keep himself free from all other engagements for four whole days from that date. 7. He may at any moment withdraw from his association with the A∴A∴, simply notifying the Zelator who introduced him. Furthermore, he shall construct the magic Pentacle, according to the instruction in Liber A. One month before the completion of his eight months, he shall deliver a copy of his Record to his Zelator, pass the necessary tests, and repeat to him his chosen chapter of Liber VII. 9. He shall in every way fortify his body according to the advice of his Zelator, for that the ordeal of advancement is no light one. Being the Voluntary Emancipation of a certain Exempt Adept from his Adeptship. These are the Birth Words of a Master of the Temple. The nature of this book is sufficiently explained by its title. Its seven chapters are referred to the seven planets in the following order: Mars, Saturn, Jupiter, Sol, Mercury, Luna, Venus. The instructions given in this book are too loose to find place in the Class D publications.Instructions are given for elementary study of the Qabalah, Assumption of God-forms, Vibration of Divine Names, the Rituals of Pentagram and Hexagram, and their uses in protection and invocation, a method of attaining astral visions so called, and an instruction in the practice called Rising on the Planes. This course is specially adapted to the Task of this Grade, the Attainment of Control of the Body of Light, development of Intuition, et cetera.